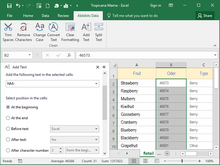 Cell Cleaner for Excel – trim spaces, change case, split cells, clear formatting & more. Microsoft Excel is a tool that often leaves me scratching my head because I have a need to do something and I can’t figure it out. Frequently, I suggest to my clients to Google, in your words, what it is that you’re trying to accomplish. Sometimes, you can find information that will help you. Abel Bentz is a company that makes add-on products from Microsoft office products such as Microsoft Excel. I use a tool called template phrases that simplify sending emails in Outlook. I like this company, I think they make great tools. The tool featured below is a free tool that you can download at their website. 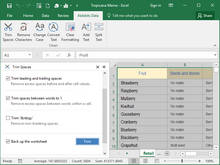 It is a simple tool that allows you to work with Microsoft Excel to accomplish some simple things that might simplify your life. With Cell Cleaner for Excel you can quickly and easily clean your data imported from an external source. Count characters and words in Excel. 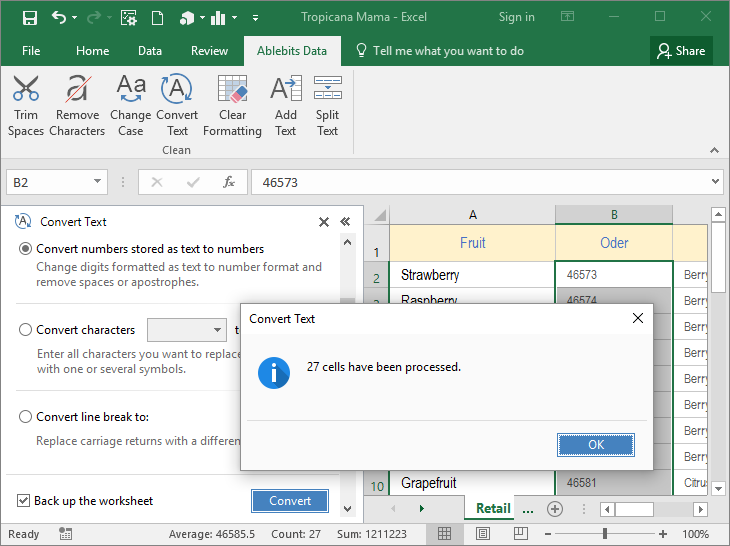 Source: Cell Cleaner for Excel – trim spaces, change case, split cells, clear formatting & more. Occasionally, extra spaces prevent some add-ins or functions from working correctly. Blanks before and after cell values, additional spaces between the words in your cells may be a problem when you filter, match or merge tables. You can polish up your data by deleting all unwanted spaces in one go. 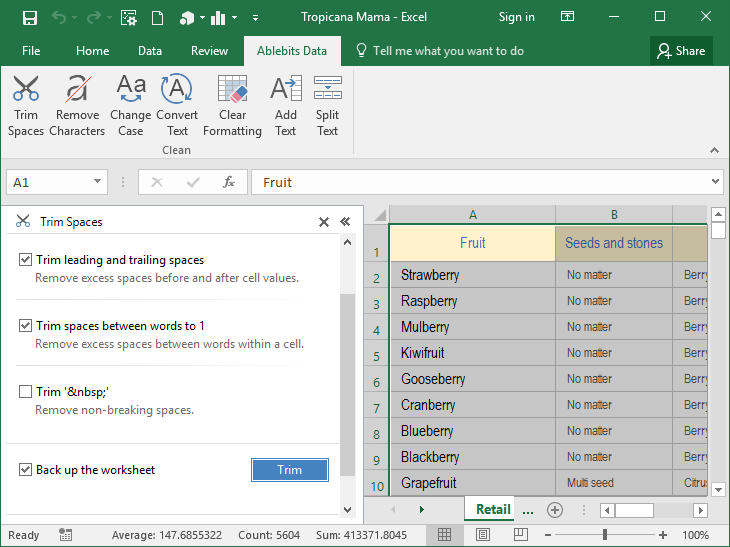 The Cell Cleaner for Microsoft Excel add-in will quickly remove leading and trailing spaces, trim spaces between words to one and delete non-breaking spaces (‘&nbsp’) from your worksheets. More about trimming excess spaces. If you happened to import an Excel worksheet where the text case is totally wrong, it doesn’t mean you need to fix it manually. Cell Cleaner offers an easy possibility to convert case in the selected cells. Just choose to convert to upper or lower case, to capitalize each cell or use proper case in the range you select and click Run. More about converting Excel text case. 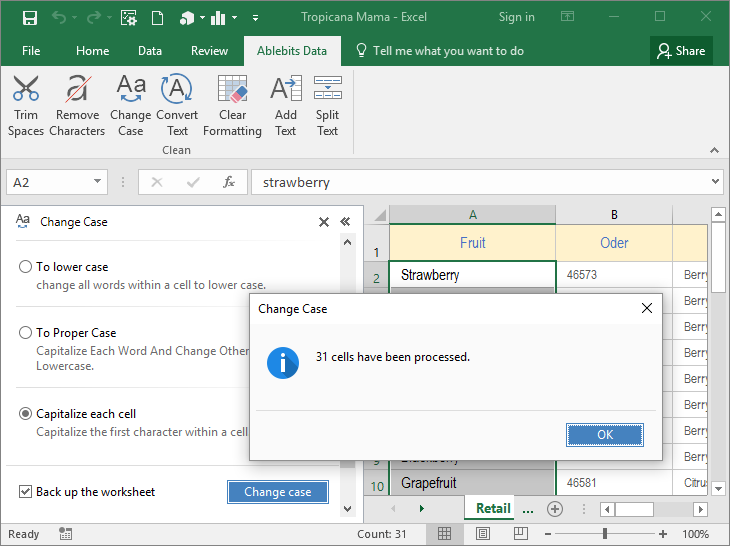 The Cell Cleaner add-in allows appending specific text to each cell of the selected range without having to type it manually. For example, you need to add @company.com to a column of several hundred user names. Just enter the text on the add-in pane and select the position for it in the cells. 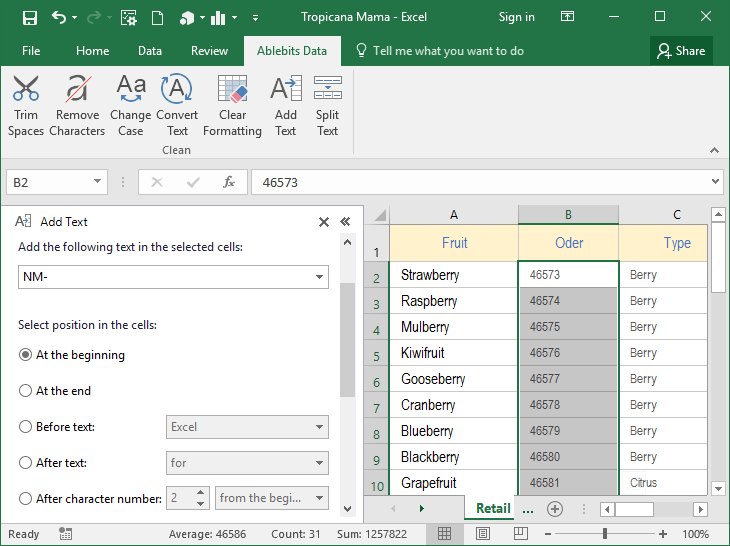 You can add text at the beginning or at the end of cells, before or after specific value, or append text by numerical order. 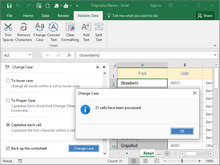 Easily add suffixes and prefixes, numbers, strings, characters and symbols to the selected cells. 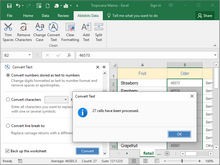 More about appending text in Excel. When copying numerical data to Excel, you can get it stored as text. You can also indicate that digits must be treated as text yourself if you use the apostrophe before them. Both options can cause problems with calculations or result in irregular sorting. With this nifty add-in you can quickly convert the digits back to number format and delete spaces and apostrophes at the same time. If you have several characters here and there in your table that you need to replace with a different one, use the Convert characters option instead of repeating the same find-and-replace steps. It will substitute all the characters you enter individually.